Hey Amanda, I am so glad my life has become so perfect after moving to Sweet Valley! I have you as a bff, and a popular boyfriend! We don’t have anything in common, and I have zero personality, but he’s popular, so who cares. I know! 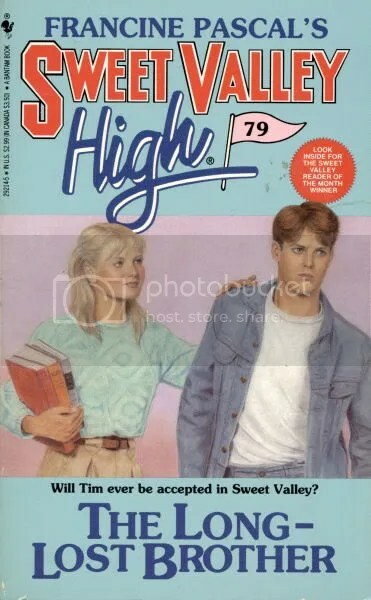 So what’s this about your twin brother moving to Sweet Valley! OMG! How did you find out?? ?I’m so ashamed of him. He used to…DRINK ALCOHOL! AND STEAL CARS! When everyone finds out, it will be the TALK OF THE SCHOOL! MY LIFE IS RUINED! Hey Sara, how’s it going? How dare you talk to me Tim! Since you’ve been in jail, been an alcoholic and in reform school, you can’t imagine how hard I have it. Please pretend that you are normal so that you will not ruin my reputation at Sweet Valley. I’m five steps away from being spoken to by a Wakefield, don’t you ruin it for me. ok fine. I’ll do it if that will make you accept me into your perfect little world. Hi, I’m Tim, and I’m an alcoholic. What’s a pretty girl like you doing at an AA meeting? I am actually just sitting in on all the self-help meetings here to get a sense of what it is like not to be perfect. Well, I hope all the girls in Sweet Valley are as pretty as you. Haha, you are such a tease. But actually, the answer is no. Tim, it’s you! Nevermind that AA is supposed to be confidential! Welcome to Sweet Valley! I didn’t knoe you were a student here! Let me tell you how perfect and wonderful it is. I’m Liz. I love it already if all the girls look like you! Hey, lay off my woman, Tim. Wanna shoot hoopies later? Sure! I’m just a regular, nice high school guy who has never committed any crime! Wow, what a swell guy! I know! Now if only he had a deep, dark problem I could help him solve…oh wait, I’m late to meet Enid! Hey Liz, I am so glad we are volunteering for the battered women’s shelter. Not only will it make a good article for the newspaper, but you can brag that you did it. that’s not why I’m doing it, Enid. Oh, so why again are we doing this? So I can spend my time doing something good. And to remind all the readers that I come from a perfect home that would never consist of domestic violence. And also, as a convenient plot device. Oh, right. Can I touch your hair? Check out my sweeeet new van. It’s purple and has a lion on it. Wow that IS sweet. 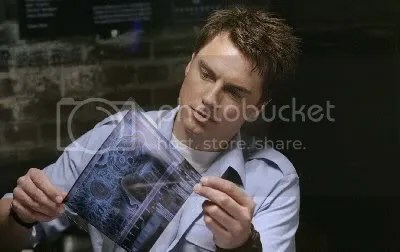 Can I take a look? Hey, someone stole my van! It’s TIM! Of course, I’ll never forgive him! Once a car thief, always a car thief! I can’t believe it! He seemed like such a nice guy! He shot hoops with me for the love of Pete! 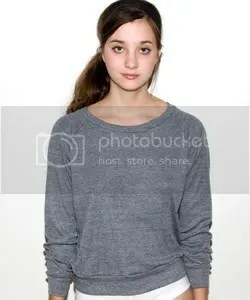 [tripping over cafeteria tables] Susan you look like you need help! Oh god, it’s awful. Tim is ruining my life! Everyone will hate me because Tim is such a loser! Everyone will be talking about it! Remember when Enid had a pen pal? That was all the school could talk about! I know what you need. I’m going over to the community center where the support groups are held so I can go touch people’s shoulders. You should come along! Wow, after one meeting, I’ve seen the error of my ways. I should support you Tim! I’ve been horrible! Good thing I caught you last minute before you were going to fly back to Connecticut! Hey, great. Despite your extreme selfishness and brattiness, I’ll accept your forgiveness and come live with you! Ah, another life saved. I am damn good. Too bad we’ll never hear about these two in any future books. Sara Eastbourne is the biggest brat ever. She is super moody and makes Tim’s problems all about her. God knows why anyone likes her. Why is everyone from Connecticut? 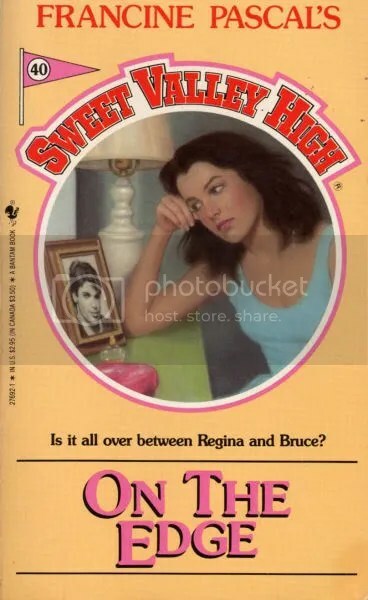 Does it seem like such a foreign land compared to Sweet Valley? Probably. 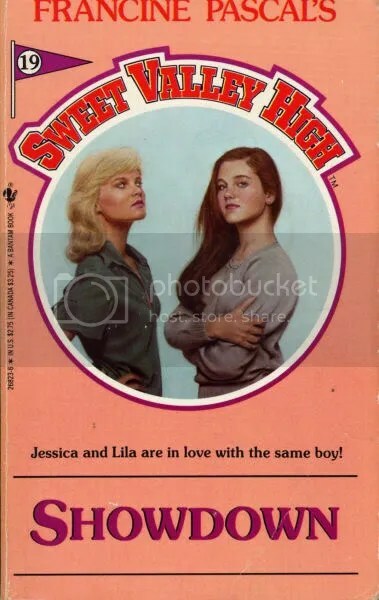 Jessica is still committed to doing appearasnces as Miss Teen Sweet Valley, including doing promotions for auto dealers and shops at the mall. She complains incessantly until Liz fills in for her- AGAIN! Liz seems to secretly enjoy it. When Liz learns that many battered women don’t leave their abusers, she gets really mad and upset. Shut up Liz. Liz also thinks she is all saintly because she goes to the shelter and throws a whiffle ball around with the kids. After she comes home and sighs loudly, Alice tells her: “You may not believe it, but your helping in your own way by writing responsible articles. As long as society ignores such problems, very little progress will be made. The more people are forced to think about domestic violence, to face the fact that it is really happening, the sooner we’ll find lasting solutions.” THAT’S RIGHT. LIZ IS SAVING THE WORLD BY WRITING FOR A CRAPPY HIGH SCHOOL NEWSPAPER. Did I mention: shut up, Susan. Shut up, Liz.